Menorrhagia In Adolescents – Worried About Your Excessively Heavy Periods? 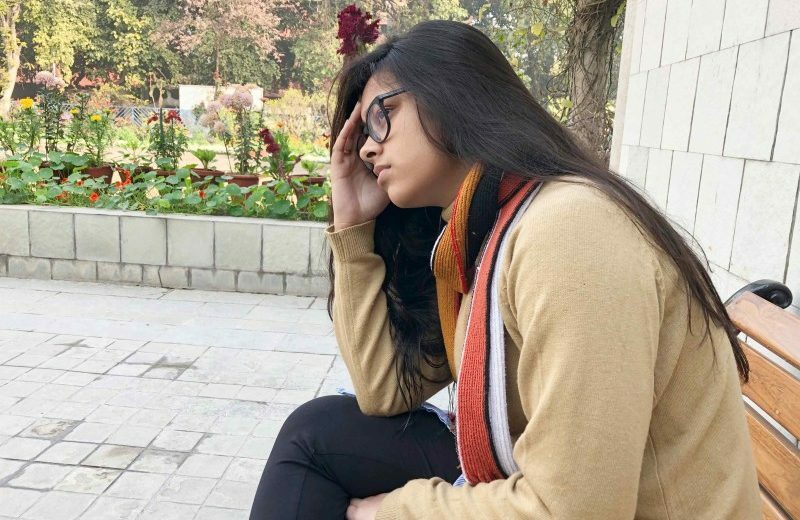 Vanshika Singhal was 13 years old when she experienced her first menstrual cycle. She was undergoing a myriad of hormonal and physical changes within her body but she took it well, with the help and guidance of her mother. Little did she know that she would be facing a common problem just after two years of her menarche – menorrhagia. Menorrhagia is the medical term used to describe abnormally heavy menstrual bleeding which can go on for more than 7 days. It is one of the most common gynaecological problems faced by teenagers, especially during the first few years of menarche i.e. beginning of menstruation. As Vanshika turned 15, her menstrual bleeding became heavier and more painful. Periods were the one thing she started to fear and hate because of the umpteenth number of times she had to change her sanitary pad and the extremely painful cramps she had to go through. At first, her mother was just concerned but when the periods started interfering with Vanshika’s school and her physical and emotional well being, she decided to take her daughter to Dr. Anita Sabherwal, Consultant, Obstetrics and Gynaecology at Sitaram Bhartia Hospital. Symptoms – How do you know if you have menorrhagia? Dr. Anita encouraged Vanshika to describe the nature of her menstruation in detail by asking her questions like – when she had her first period, the frequency of her menstruation, for how many days the bleeding occurs, the number of soaked pads she has to change and in how many hours. After the conversation, it was confirmed that Vanshika had menorrhagia i.e. heavy menstrual bleeding. “Many girls especially adolescents misinterpret their slightly heavy bleeding as menorrhagia simply due to the lack of correct information regarding this condition. That’s why it is important for you to know what exactly happens in this condition,” said Dr. Anita. Have to change your fully-soaked pad every other hour. Need to use double sanitary protection to prevent soiling clothes and other things. Usually bleed for more than a week. Pass blood clots larger than the size of a coin during periods. Experience extremely painful cramps which interfere with your daily life. Start to show symptoms of anaemia like fatigue, shortness of breath and tiredness. “But what is causing this unusually heavy bleeding in the first place? Vanshika’s mother asked worried. Hormonal imbalance associated with irregular egg production i.e. anovulation/delayed ovulation. This is the most common cause of Menorrhagia in adolescents. Diseases of uterus and ovaries, though rare. Anovulation is the term used when the ovaries are not mature enough to release eggs (release of egg is known as ovulation). This is usually the case during the first few years of menarche in teenage girls and is termed physiological as no underlying cause is found. Some bleeding disorders can also cause girls to have menorrhagia. One such disorder is Von Willebrand disease (VWD) which occurs when you have too little VW factor protein. “This protein makes the platelets stick together and helps in clotting of blood. Therefore, girls who have this disorder tend to have heavy menstrual bleeding.” After understanding what her daughter was going through and what might be the cause behind it, Vanshika’s mother asked the doctor about what treatment option they could adopt so that Vanshika would be able to manage her periods better. Menorrhagia treatment – How do you stop heavy bleeding? The method of treatment of menorrhagia depends on the age of the adolescent and severity of her bleeding. “It is however important to treat menorrhagia keeping in mind their overall health and future,” remarked Dr. Anita. Nonsteroidal anti-inflammatory medicines: These medicines help in reducing blood loss due to heavy bleeding to some extent and also give relief from painful period cramps. Some of these medicines also help in clotting blood. Oral contraceptive pills: Combination birth control pills contain both the hormones – estrogen and progesterone. They are quite effective and safe to use. The pills not only reduce bleeding but also regulate the cycles and make them pain free. Oral progesterone pills – These pills are used mostly to control an episode of heavy bleeding and are effective in stopping the bleeding in 24 to 72 hours. They may be used in cycles if there are reasons not to use combined pills. Dr. Anita prescribed combination contraceptive pills and iron supplements to Vanshika to reduce the excessive bleeding. “We shall wait and observe whether this helps in decreasing the blood loss during her menstruation. If it doesn’t help, we can try other treatment options as well,” Dr. Anita said to Vanshika and her mother. “Is there anything I can do at home to reduce the pain?” piped up Vanshika. “One thing I would advise all teenage girls is to exercise regularly. Do not stop physical activity during periods. Also increase your intake of a healthy balanced diet including fruits, nuts and milk. You can use hot bags to manage the pain,” advised Dr. Anita.